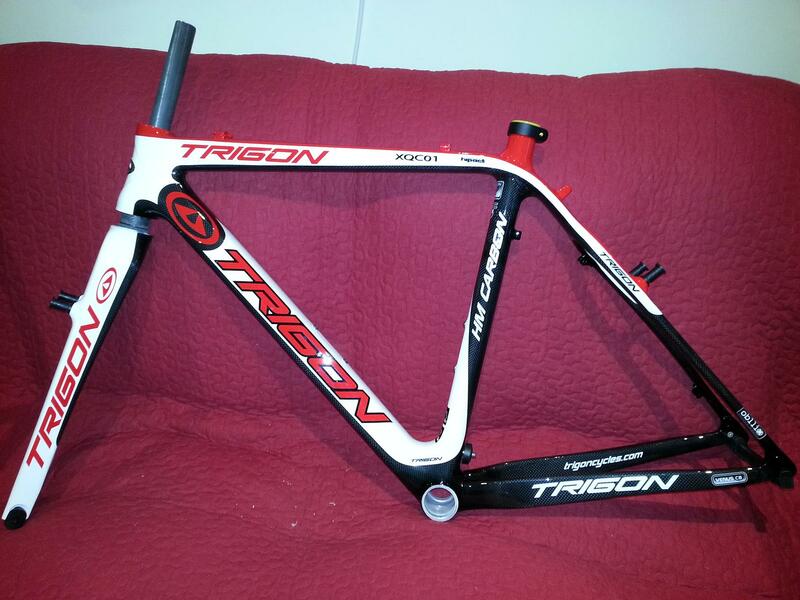 Taiwanese company, Trigon have long been one of the main manufacturers of other companies’ frames. Although that’s still the mainstay of their business they have used that expertise to create their own range of bikes. 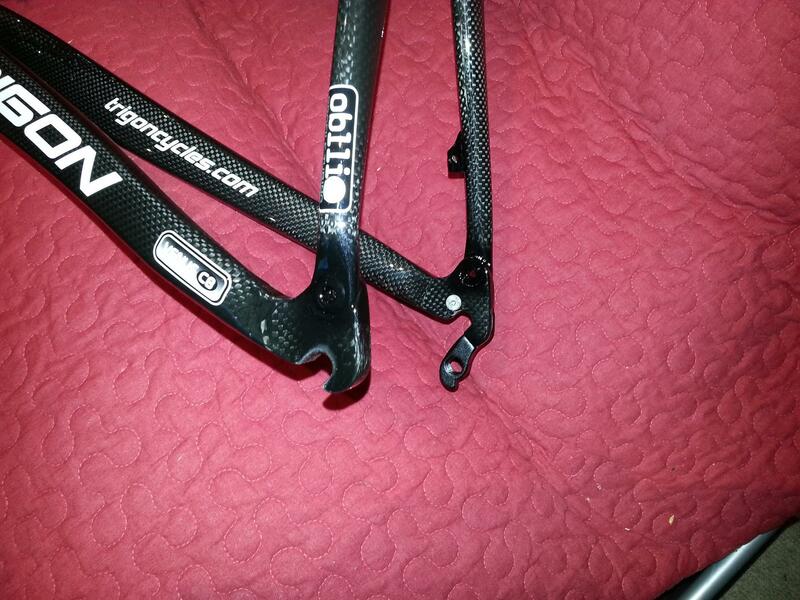 We are very familiar with their RQC29 road frame, which is super stiff yet remarkably comfortable, and so were excited to check out this, the full carbon Trigon XQC01 cyclo-cross frame. 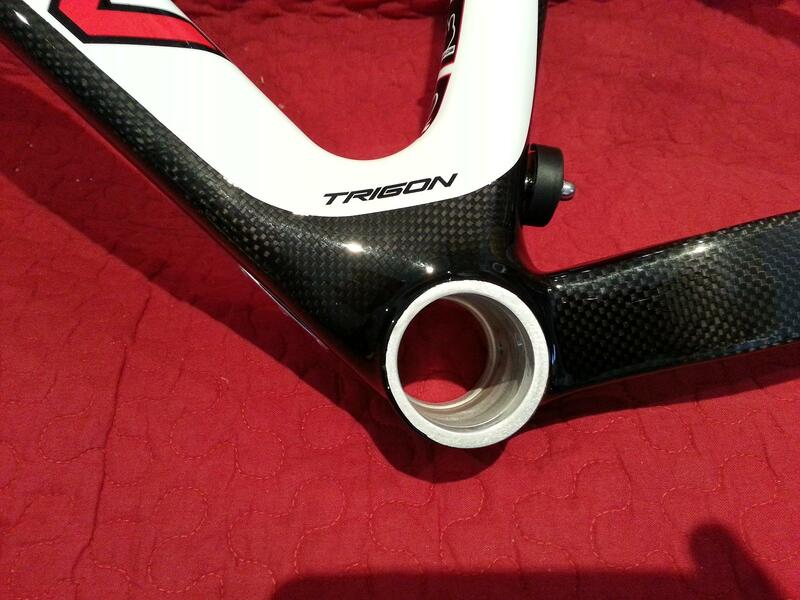 The frame is a monocoque with oversized, ‘trapezoidal’ tubing made from Trigon’s Venus C8 advanced composite material. Trigon claim that the trapezoidal shape provides greater stiffness. The weight for this 52cm frame is spot on at around 1070g and the 45mm rake, XC07 fork, this time with ‘oversized and dynamic’ trapezoidal blades, is another 465g. The head tube is a tapered 1 1/8″ to 1.5″ design, again for greater stiffness and strength, and is mated to a very sturdy looking full carbon front fork. This example has a beefy looking oversized BB30 bottom bracket cluster, though Trigon do make the frame in a variety of other BB configurations. 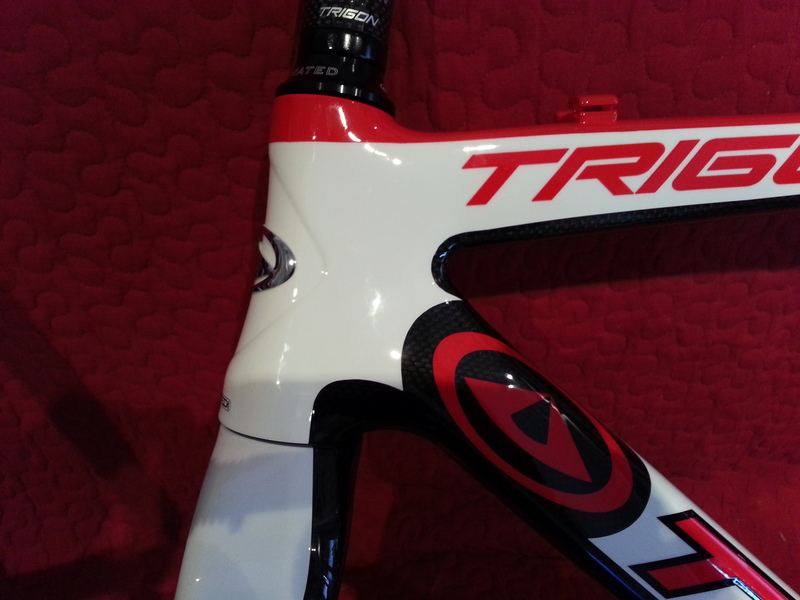 At the rear end the gently curving seat stays and very deep trapezoidal chainstays end in integrated carbon dropouts. 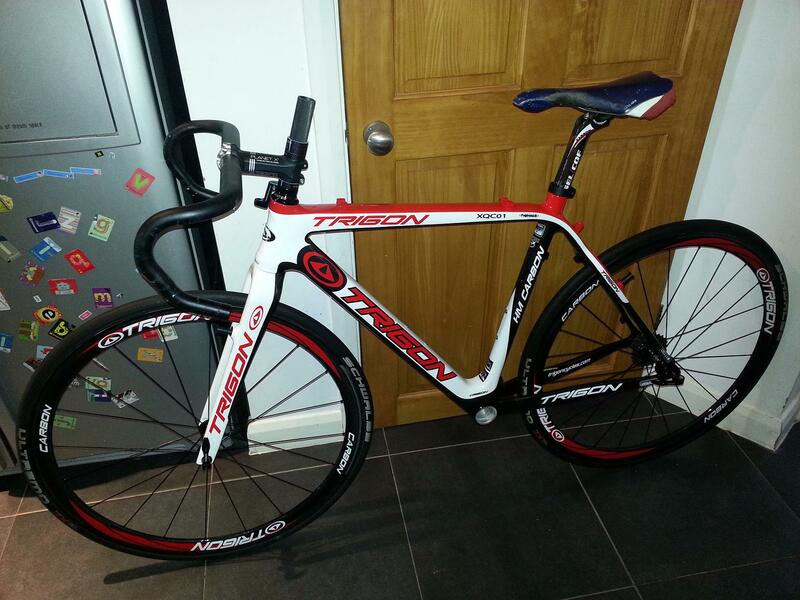 The photo below shows the frame with Trigon’s CWC38 clincher carbon wheels and some spare parts we chucked on it to determine sizing and set-up. 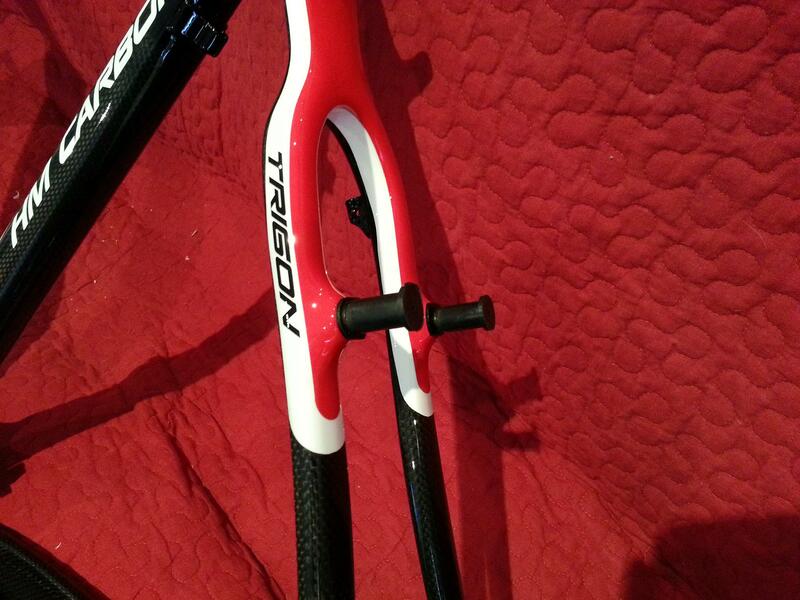 This model is designed for cantis but there is a disc brake specific model designated the XQC02. We are pretty excited to get this frame built up and out in the mud. We are not totally sure of the exact build spec that the Trigon will end up with but we’ll keep you posted with a ‘build article’ and report back with a full review as soon as its ready.